William Hill Sports has often been referred to as the Home of Betting, a reflection of the fact that the company opened for business in 1934, still retaining the name of its founder. 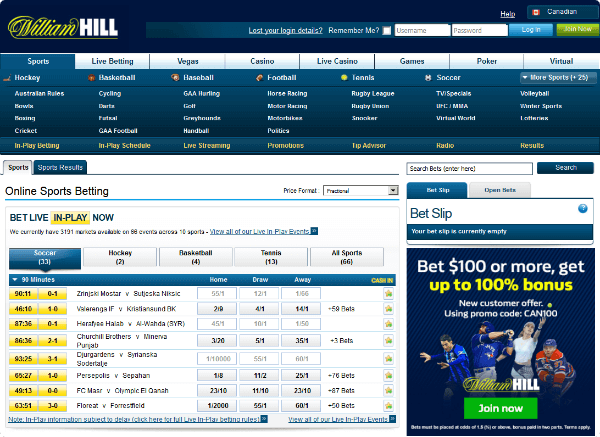 Shops bearing the instantly identifiable blue, yellow and white logo have been a fixture on British high streets for decades, but William Hill has also developed a strong online presence. It is licensed and regulated by the Government of Gibraltar and residents of most major European nations can open accounts, as well as the likes of Canada, Australia, Malaysia, Egypt and Argentina. 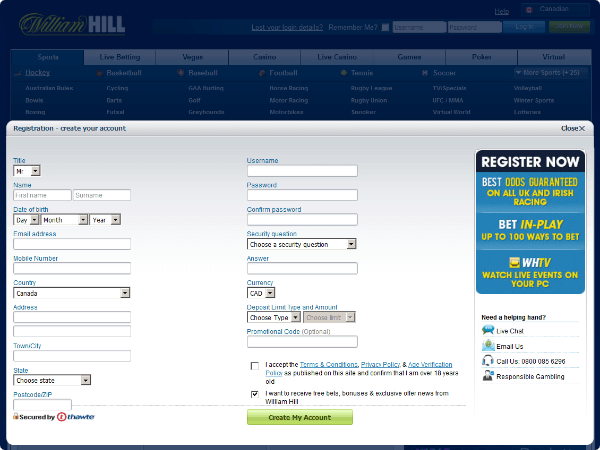 The William HILL Sports is most famous for its sports betting service, currently sponsoring the likes of Chelsea, Tottenham Hotspur, Everton, the William Hill St Leger at Doncaster and the World Darts Championship at Alexandra Palace. However, there are many gaming options also provided online and on mobile apps, including Vegas, Casino, Live Casino, Games, Poker and Bingo. One of the most attractive elements of William Hill’s Sport offering is the amount of live sport that is available to stream. This includes horse racing from the UK and abroad, football from many high-profile competitions, ATP and WTA tennis and now all UK greyhound racing. William Hill Sports also invites customers to ask for #YourOdds on almost all major sporting events, plus plenty of minor ones too. This is where you tweet a custom betting market request to the @WilliamHill Twitter account using the hashtag, and the company replies with a price and a market link for you to place the bet. Additionally, you can back other customers’ creations, or combine two selections into a #YourOdds double. On top of all that, there are season-long offers for the most popular sports. 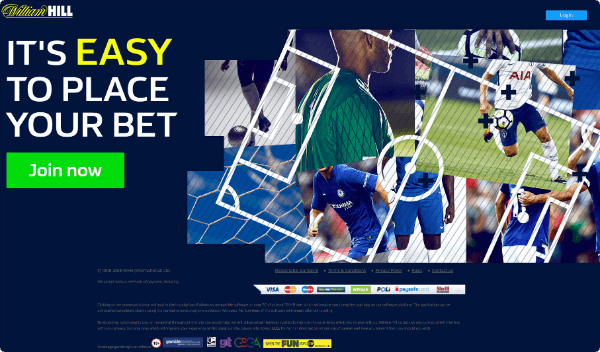 For football, it is 4 Means More, where you get a 15% free bet bonus if you back a winner on selected markets in a televised Premier League match which delivers four or more goals. Jumps racing has High 5, where you get the same bonus when your horses win by five lengths or more at selected meetings. The flat racing equivalent is 2 Clear, the only difference being that your horse only needs to triumph by two or more. The latest member of that offer family is Drive 55, where 55 or more points in televised NFL games – including the Super Bowl – get you a 15% free bet bonus on winners in several markets. Other recurring features to be aware of are Bet Boosts – your daily opportunity to pick any selection on the site and back it at a boosted price (even multiples or in-play bets) – and Acca Five Insurance – your stake back as a free bet on a losing accumulator of five legs or more if only one lets you down. That is all backed up by a constant supply of Flash Odds (heavily boosted prices available for a limited time), Super Odds (significantly increased treble prices) and Enhanced Odds across all sports. There are lots more short-term or seasonal promotions to go alongside all those regulars, but perhaps the most important offer to tell you about is the sign-up one. If you open an account using the code: C30 and place a first bet of £10 or more, you’ll get 3 x £10 free bets. Plenty of live sport available to watch.